Temperature sensors that are manufactured for the aerospace industry require reliable and precise temperature measurement. 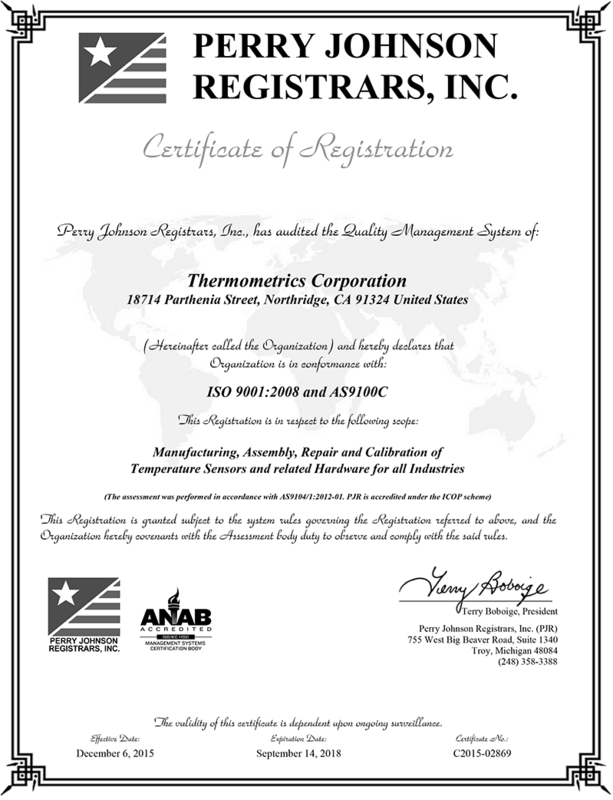 Thermometrics Corporation provides the Aerospace, Military and Marine Industries with a variety of different sensors. 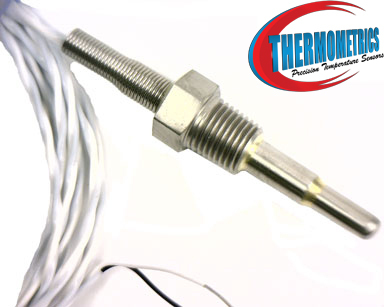 At Thermometrics, we manufacture all our sensors to our customers specifications which allows us to produce non-standard resistance curves and values- maximizing performance for our customers. 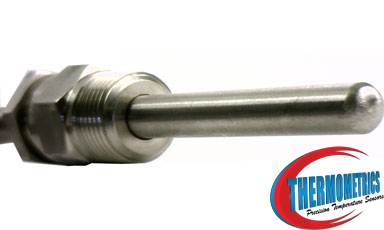 When working in high temperature industrial environments, we offer thermocouples with protection tubes. Magnesium Oxide also commonly referred to as MgO thermocouples and general purpose RTDs are available for direct immersion, composite mixing, forming or other processes.